On Friday night, Mr. Trump’s transition team insulted the American intelligence community by saying that officers had misrepresented the threat of weapons of mass destruction ahead of the Iraq War, meaning that they should not be trusted with their conclusion of Russian meddling in the presidential election. The sound you hear is every H-P veteran shrieking in shock and despair. 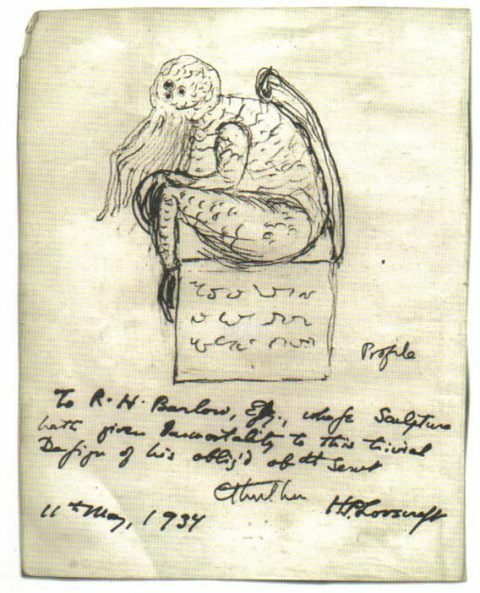 This is screaming-of-the-lambs scale horror, Ph’nglui mglw’nafh Cthulhu R’lyeh wgah’nagl fhtagn madness. To speak the obvious: she has, as far as I know, exactly zero professional intelligence training, and nothing in her work (or, for the last several years, unemployment) record suggests she’s mastered what you’d want America’s eyes on the secret world to possess. There’s no way to justify appointing Fiorina to this position unless you take Trump at his word and believe that he believes there’s simply no reason to bother with anything so frivolous as data, information, or knowledge of the world, our friends and adversaries alike.